Unless you move into a new property, every house has a history. I can help you find out more about your home – whether it was built in the Victorian era or modern times – and discover the secrets that are hidden there. 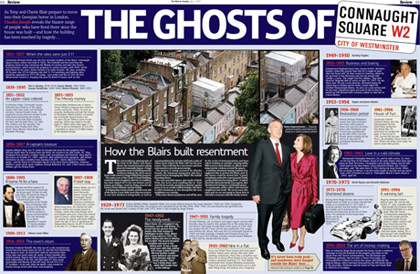 When former MP Tony Blair and his wife Cherie bought their Georgian home in Connaught Square, London, I tracked down the extraordinary range of people who had lived in the town house and revealed how it had been touched by triumph and tragedy. It had played host to all ranks of society such as Admiral and Arctic explorer Sir Erasmus Ommanney, actress Vanessa Redgrave’s cousin Joan Dale and racing driver Roger Enever. Now you can follow in the footsteps of the former Prime Minister, and discover more about your house. I will trace its previous inhabitants and build you a fuller picture of your property.